An excerpt from "New Jersey: A History of the Garden State" ~ The History Girl! An excerpt from "New Jersey: A History of the Garden State"
The two of us proposed this volume for several reasons. First, as teachers of New Jersey history, we perceived the need for a one-volume book on the state that could be used in our courses as well as in those taught by others in community colleges and universities. Second, it was clear that much had been written and that the interests of scholars had changed in the more than thirty-five years since the last brief history of the state appeared. Obviously, it was time for an update and a synthesis of the new material. Third, the citizens of New Jersey need an overview of the state’s past so that they can understand where it has been and, perhaps, better conceive where it ought to go in the future. At the same time, another purpose has been to place the history of the state in a national context for New Jersey residents and those outside the state. Writing in 1978, John Cunningham described New Jersey as “A Mirror on America.” We concur that through the study of our state we can better understand the history of the nation. 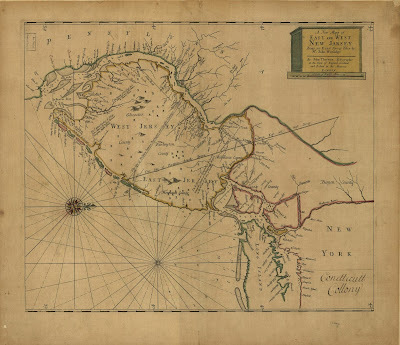 Of course, scholars have been studying and writing about New Jersey since Samuel Smith published The History of the Colony of Nova Caesaria in 1765. The nineteenth century saw the publication of several classic histories, such as Thomas Gordon’s A Gazetteer of the State of New Jersey (1834) and William Barber and Henry Howe’s Historical Collections of the State of New Jersey (1845 and later editions), with its large number of lithographs. Later in the nineteenth century substantial historical and genealogical volumes treated particular counties. It was also during this period that the New Jersey Historical Society began publishing its journal, originally titled "Proceedings" and much later simply "New Jersey History." Many of the nineteenth-century histories were focused on famous individuals, the American Revolution, church and congregational histories, and, later, the Civil War experiences and service of New Jerseyans. Charles Conrad Abbott began writing about Native Americans, but many topics, most notably social history, women’s history, and the history of minority groups, particularly African Americans, were largely overlooked. Authors were often journalists, jurists, and religious figures, as history was just beginning to professionalize as a field. In the early twentieth century, several important regional and statewide histories were published, including New Jersey: A Guide to Its Present and Past (Federal Writers Project, 1932), A. M. Heston, South Jersey (1924), and Francis Bazley Lee, New Jersey as a Colony and as a State (1902). In the mid-twentieth century Richard P. McCormick and John Cunningham brought to the fore a more sophisticated and, in the case of Cunningham, popular view of New Jersey’s history. Harold Wilson compiled an exceptional historical outline of the state (1950); in the 1960s, the state’s Tercentenary Commission published numerous volumes reflecting the true diversity of New Jersey’s history; and in 1975 Peter O. Wacker added his Land and People, now a classic work, to the literature on the state. 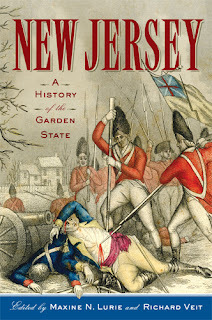 Among recent publications there are the collections of essays edited by Barbara Mitnick, New Jersey and the American Revolution (2005), Marc Mappen, There Is More to New Jersey than the Sopranos (2009), and Maxine N. Lurie, New Jersey Anthology (2010); Howard Green’s collection of documents, Words That Make New Jersey (2006); and two reference works, the Encyclopedia of New Jersey (2004) and Mapping New Jersey (2009). But the most recent one-volume history of the state, Thomas Fleming’s New Jersey: A Bicentennial History, was published in 1977, and the general works by John Cunningham, You, New Jersey, and the World (1998) and New Jersey: A Mirror on America (last updated in 2006), are aimed at a K – 12 audience. As editors of this volume, our intention is to provide a work that, in the tradition of Fleming and Cunningham, covers the scope of New Jersey’s past from the earliest inhabitants to the twenty-first century, while incorporating recent scholarship, issues such as gender, race, and class, and social and cultural history as well as politics. We have been lucky in obtaining the help of excellent scholars who have contributed essays about their areas of expertise. The chapters that follow reflect their hard work, for which we thank them, and their endnotes document relevant recent scholarship on the state and the nation. We hope that this book is seen, as it is meant to be, as part of a long line of distinguished work on the state’s history. We hope that it will catch the interest of our students and the public, and inspire other scholars to add to the body of work on the Garden State. New Jersey: A History of the Garden State presents a fresh, comprehensive overview of New Jersey’s history from the prehistoric era to the present. The findings of archaeologists, political, social, and economic historians provide a new look at how the Garden State has evolved. The state has a rich Native American heritage and complex colonial history. It played a pivotal role in the American Revolution, early industrialization, and technological developments in transportation, including turnpikes, canals, and railroads. The nineteenth century saw major debates over slavery. While no Civil War battles were fought in New Jersey, most residents supported it while questioning the policies of the federal government. Next, the contributors turn to industry, urbanization, and the growth of shore communities. A destination for immigrants, New Jersey continued to be one of the most diverse states in the nation. Many of these changes created a host of social problems that reformers tried to minimize during the Progressive Era. Settlement houses were established, educational institutions grew, and utopian communities were founded. Most notably, women gained the right to vote in 1920. In the decades leading up to World War II, New Jersey benefited from back-to-work projects, but the rise of the local Ku Klux Klan and the German American Bund were sad episodes during this period. The story then moves to the rise of suburbs, the concomitant decline of the state’s cities, growing population density, and changing patterns of wealth. Deep-seated racial inequities led to urban unrest as well as political change, including such landmark legislation as the Mount Laurel decision. Today, immigration continues to shape the state, as does the tension between the needs of the suburbs, cities, and modest amounts of remaining farmland. Well-known personalities, such as Jonathan Edwards, George Washington, Woodrow Wilson, Dorothea Dix, Thomas Edison, Frank Hague, and Albert Einstein appear in the narrative. Contributors also mine new and existing sources to fully incorporate scholarship on women, minorities, and immigrants. All chapters are set in the context of the history of the United States as a whole, illustrating how New Jersey is often a bellwether for the nation. Maxine N. Lurie is professor emerita of history at Seton Hall University in South Orange, New Jersey, and chairs the New Jersey Historical Commission. She is the author or editor of numerous books, and also collaborated with Richard Veit on Envisioning New Jersey: An Illustrated History of the Garden State (Rutgers University Press). Richard F. Veit is a professor of anthropology and chair of the department of history and anthropology at Monmouth University in West Long Branch, New Jersey. He is the author or editor of many books, including Digging New Jersey’s Past (Rutgers University Press).